Screenshots is the go-to gallery for screenshots. It's the best, free app for you to manage screenshots and grab images, text and links from them. 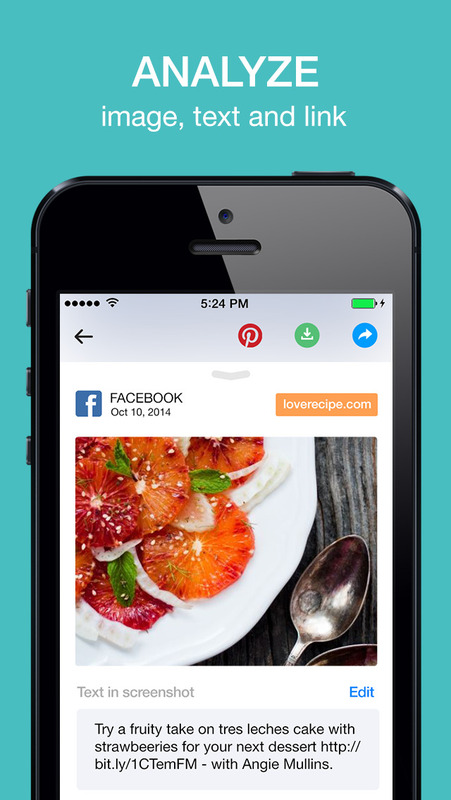 You've got many screenshots of recipes posted by Facebook friends, but how to share to Pinterest in a nice looking way? You saved many Instagram photos by taking screenshots, but how to extract images out? Wanna review purely the chat screenshots with your significant other? -- This Screenshots App is the answer to all these questions. ⁂ Screenshots are analyzed to grab images, text and links (if it's a screenshot of a public English article) from them, and for you to easily share these elements to anywhere. ⁂ Screenshots are organized by Apps they were captured from, so it's super easy to view, find, manage, and also to delete screenshots. Get a clean Camera Roll and save space. * Screenshots are NOT uploaded to server, unless for some functionalities. * If you choose to grab text (and maybe further the link) from a screenshot, this specific screenshot will be uploaded to server. 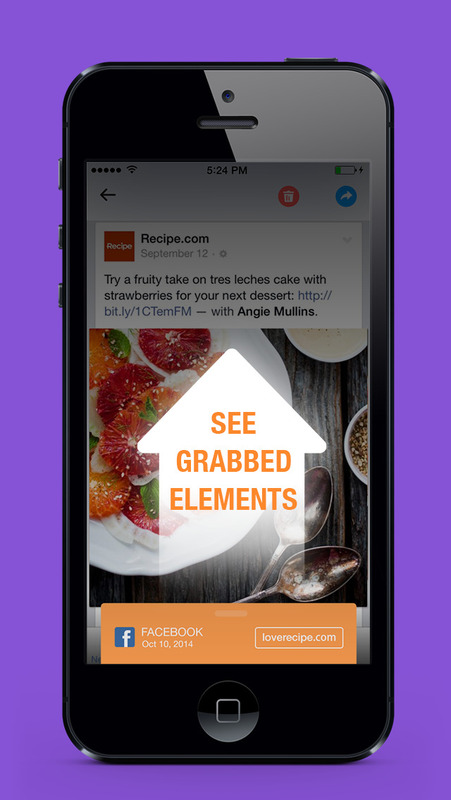 * If a screenshot is part of a public English article/recipe/news, the link to the article/recipe/news will be grabbed after analysing for the text. * Screenshots (a.k.a. snapshots / screen-grabs / screen-captures) are images of the display on a device screen. Nowadays, as more and more users take screenshots often, they have become photos of our digital life. * Apps like Facebook/Instagram/Twitter don't quite support sharing posts to other Apps. Screenshots are to rescue in these cases. 1. Automatically group all your screenshots by apps and time, makes it super easy to manage and browse. 2. 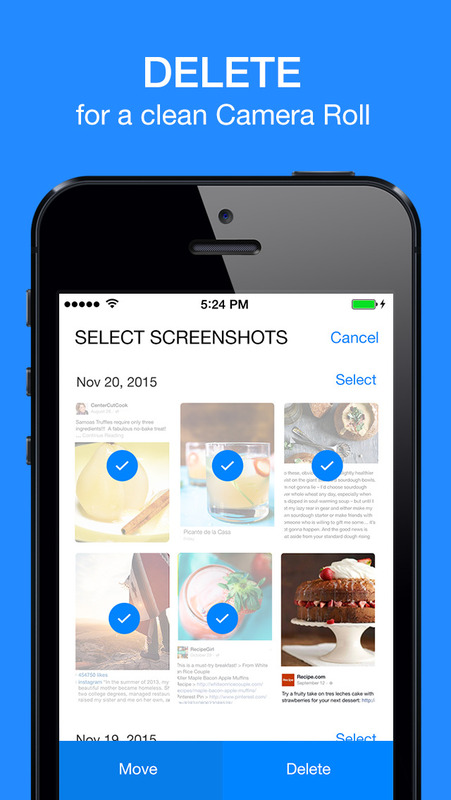 Quickly delete screenshots which are no longer useful, makes a cleaner camera roll and saves your space. 3. Magically grab clean text, any images and even the original page link from the screenshots. 4. 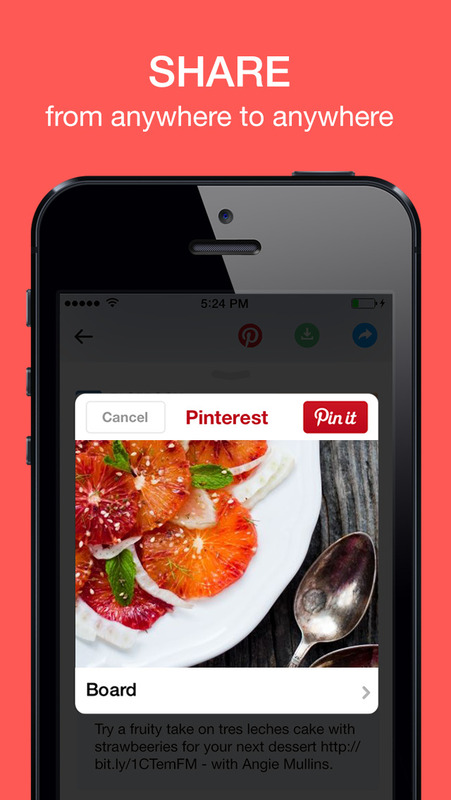 Easily share to Pinterest and any other apps, from anywhere to anywhere.